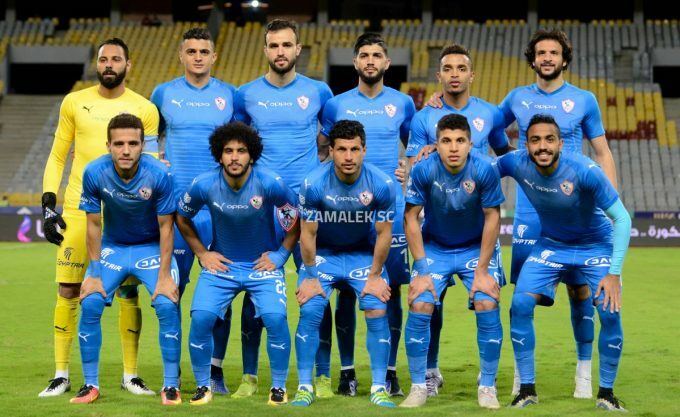 Zamalek boss Christian Gross has named his squad that will face Algeria’s Nasr Hussein Dey in the second round of the CAF Confederation Cup. The Whites lost their opening game to Gor Mahia away from home, while Hussein Dey beat Petro de Luanda 2-1 at home. Zamalek’s squad has seen the return of Hamdi Nagguez and Mahmoud Kahraba after they missed their side’s 1-0 victory over Nogoom FC. Ayman Hefny has also made the cut, while Mostafa Fathi, Mohamed Ibrahim, and Ahmed Madbouli were left out for technical reasons. Goalkeepers: Mahmoud Abdel Rahim Gennesh & Emad El Sayed. Defenders: Mahmoud Alaa, Mohamed Abdel Ghany, Bahaa Magdy, Abdallah Gomaa, Mahmoud Hamdi, Mohamed Abdel Salam, Hamdi Nagguez. Midfielders: Ferjani Sassi, Mahmoud Abdel Aziz, Ibrahim Hassan, Youssef Obama, Mohamed Antar, Ayman Hefny, Tarek Hamed, Mahmoud Kahraba. Forwards: Omar El-Said, Hamed Ahdad, Khalid Boutaib.